Christ’s redemption on the cross opens the way for Christ to come to us in resurrection to be our life. The graphic is the last verse of a hymn about the redemption of our body. Once more, the verse begins with Christ our hope of glory (Col. 1:27). Then “He is our history.” We have believed “into Christ Jesus” and we are now in Him. Here He is our history. He has become one with us and He is our life (Col. 3:4) for us to experience Him daily. Soon He will come again to transfigure our mortal bodies and bring us into His glorious liberty. This liberty will free our mortal bodies from sin, death, and all kinds of weaknesses and corruption unto the eternal, incorruptible New Jerusalem. The freedom of glorification through the redemption of our mortal bodies will make even our physical bodies one with Him. We will be one with Him completely and forever. Based on the redemption gained through Christ’s death and our believing, we have regeneration in our spirit. That began the renewing of the Holy Spirit in our soul (Titus 3:5), which will culminate with the redemption/transfiguration of our body. 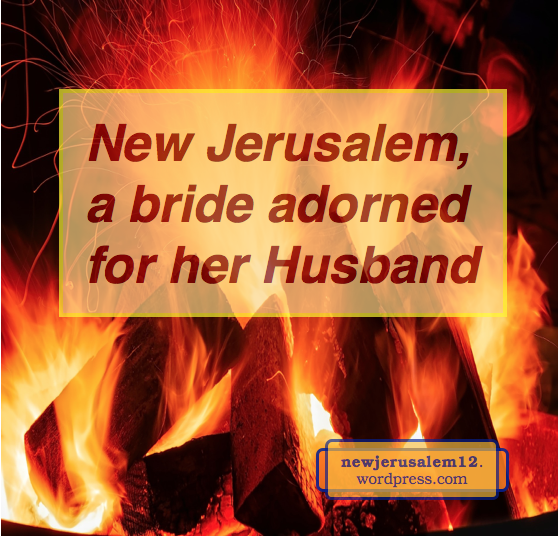 All of this prepares us to rejoice with Christ at the wedding feast and to live eternally as part of New Jerusalem. Thank Him for this wonderful, complete salvation! The prior three posts touched two aspects of redemption: our justification through the forgiveness of our sins by the Lord’s death on the cross and the redemption of our body at the Lord’s second coming. Both aspects are part of our path to New Jerusalem. music) about the second step of redemption, our glorification. The graphic has the first verse and chorus. 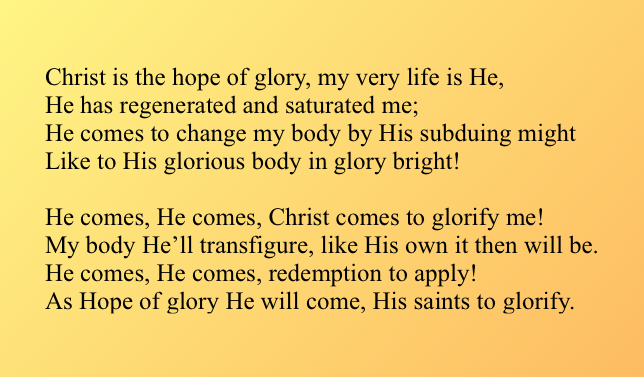 The song begins with Christ as our hope of glory (Col. 1:27). He is our life (Col. 3:4). His work in us began with regeneration and continues until He comes to change our bodies to be like His glorious body (Phil 3:21). The chorus emphasizes that “He comes.” We know He is coming and His charge to us is “watch.” He comes to transfigure us (Phil. 3), redemption to apply (Rom. 8), His saints to glorify (2 Thes. 1). We are His saints because He has sanctified us in position by His death and is now sanctifying our entire inward being by His life. In this way we will match New Jerusalem, the holy city. His glorifying of us is that “He comes to be glorified in His saints.” Apart from Him we have no glory. He is the hope of glory in us now and He will be the glory radiating through us at His coming. Together all the glorified saints will be the glorious church to become the glorious New Jerusalem. 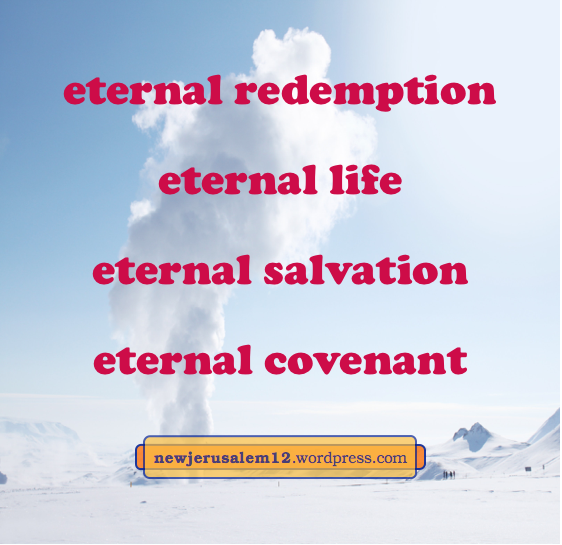 We have presented two steps of redemption on our path to New Jerusalem. The first is our justification through the forgiveness of our sins, accomplished by the Lord’s death. 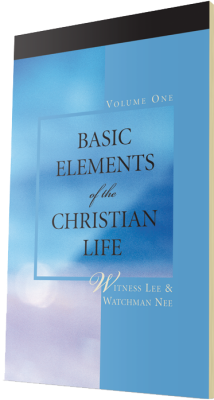 The second is the redemption of our body, to be accomplished at the Lord’s second coming. In Luke 21 the Lord Jesus speaks about events before His second coming. Then He tells us, “when these things begin to happen, stand erect and lift up your heads, because your redemption is drawing near.” This is “the redemption of our body” in Romans 8. 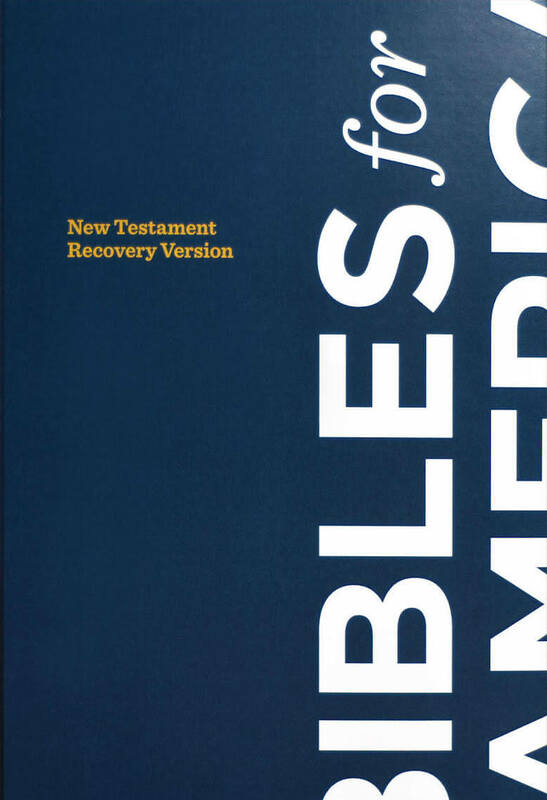 What is “the redemption of our body”? Philippians 3:20-21 says, “we eagerly await a Savior, the Lord Jesus Christ, who will transfigure the body of our humiliation to be conformed to the body of His glory.” The Lord will come in glory, He will transfigure us to be conformed to His glory, and He will present the church to Himself glorious. This will be a big step toward the glory of New Jerusalem! The transfiguration of our body will be instantaneous, but it will be the consummation of the renewing and transforming work of the Spirit throughout our Christian life. Therefore, we cannot be lazy and passively wait for the Lord’s second coming. We need to be the faithful and prudent slaves, being filled with oil and doing the Lord’s business regularly. 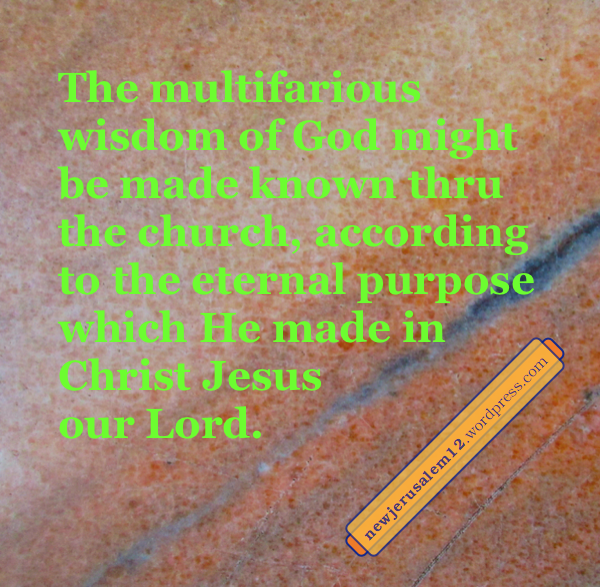 We should be on guard and grow in grace and the full knowledge of our Lord and Savior. Lord, grant us Your mercy day by day that we may live and grow for You.